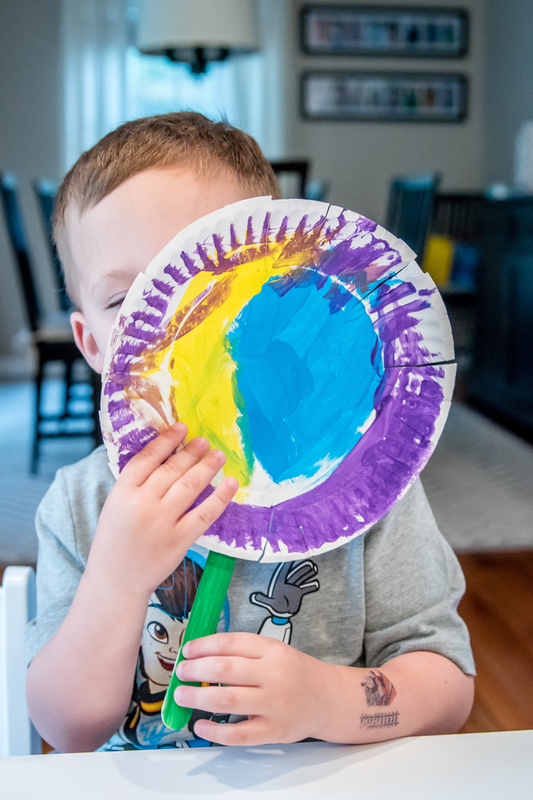 Today I thought it would be fun to walk you through a typical crafting afternoon with Noah. Our weeks are filled with school, swim class, and now soccer and a nature explorers class. As a result, our mornings are pretty booked. I try to keep our afternoons free for play dates, trips to the playground, crafts, and some independent play. Each week, I try to come up with one or two planned crafts where I tell Noah what we are going to make. Usually that involves me showing him a picture of something I found on Pinterest and then us adapting it to his level and opinions. As Noah has gotten older, he likes to do a lot of unplanned and totally free-style crafts as well. As much as I love having a plan, I have found that Noah is pretty darn creative and comes up with some really great ideas! Who knows, maybe I have a future artist on my hands? Crumple up the tissue paper squares and simply attach them to the tree branches using glue. It's really that simple! 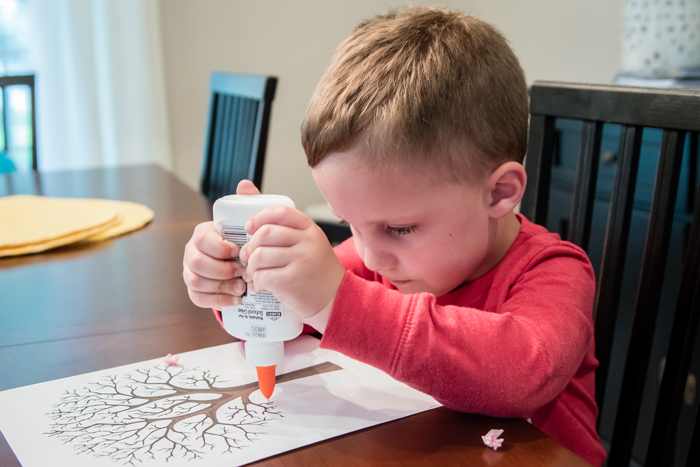 As much as he enjoyed doing the cherry blossom tree, Noah had some ideas of his own. Before moving onto my next craft, he really wanted to make some Octonauts. First up, he wanted to make his favorite characters out of play-doh. He totally took the lead with this and gave me 3 to make and 2 for him to make. While mine may look more like the characters, I was very impressed at what Noah came up with all on his own! He then grabbed some crayons, glue, and googly eyes and made the Octonauts once again! But my absolute favorite was later in the day when I was making dinner and Noah asked for green paper, scissors, glue, and some more eyes. Then all on his own he made this frog... I was so impressed! 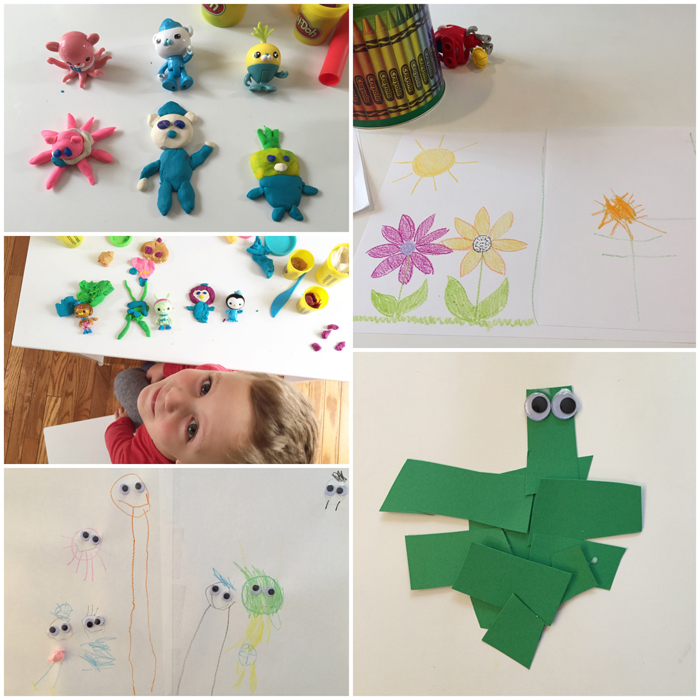 After Noah got his fill of play-doh and drawing, we got back to it with another flower craft I had planned. Noah was very excited for this one since it involved paint and scissors! Paint the craft stick green. I did this myself earlier on so that it would be dry by the time we were assembling the flower. But you could easily have your child do this part too. 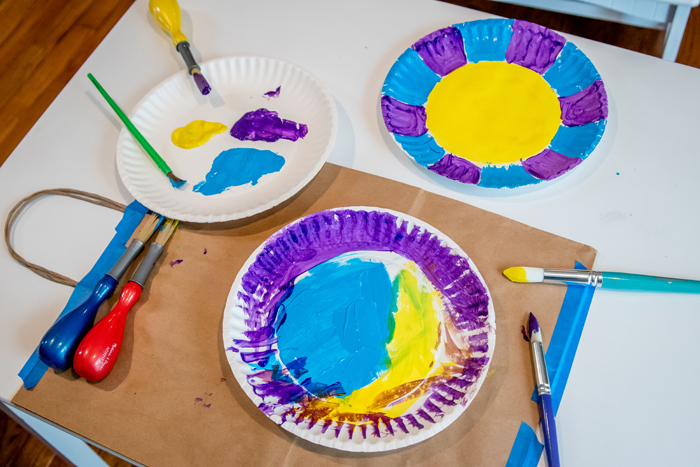 Paint the paper plate (flower). While I personally like the look of painting a center and then individual petals, I also love Noah's more "free style" approach. 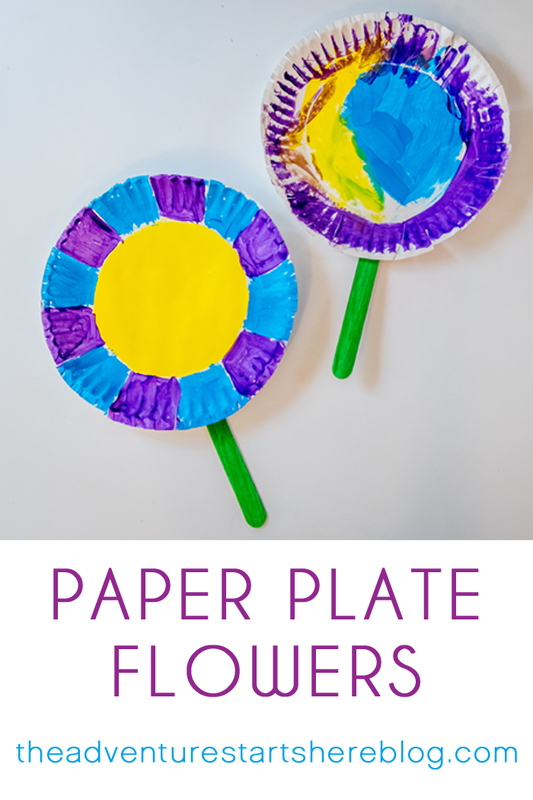 Once dry, cut slits into the paper plate to make some petals. Then attach the green craft stick to the plate. I used tape, but you could also use glue. ^^^ usually I put kraft paper down when we paint, but I ran out! So I grabbed a paper bag I had on hand so I could at least cover Noah's workspace! What do you think of our Spring inspired crafts? 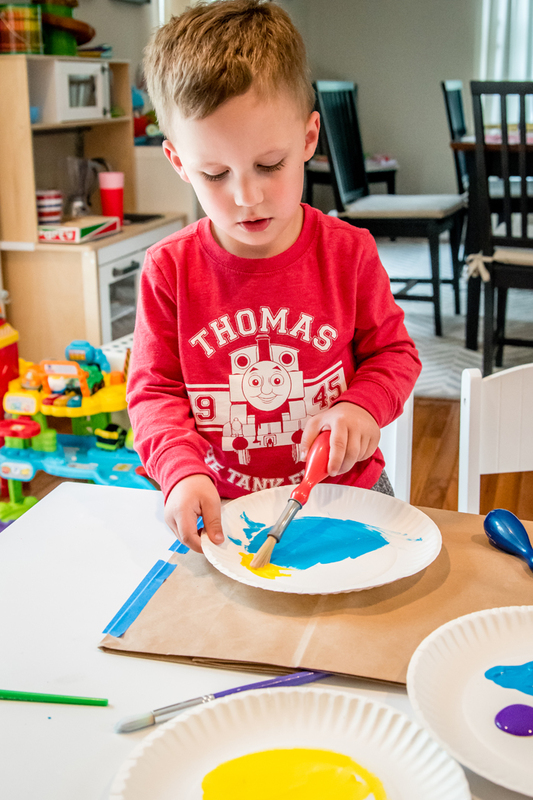 Do you prefer to plan crafts for your kids or just let their creative juices flow? I loooove the cherry blossom tree! Love the crafts. Easy ones are the best. So sweet that he wanted to make Octonauts. Sweet boy! 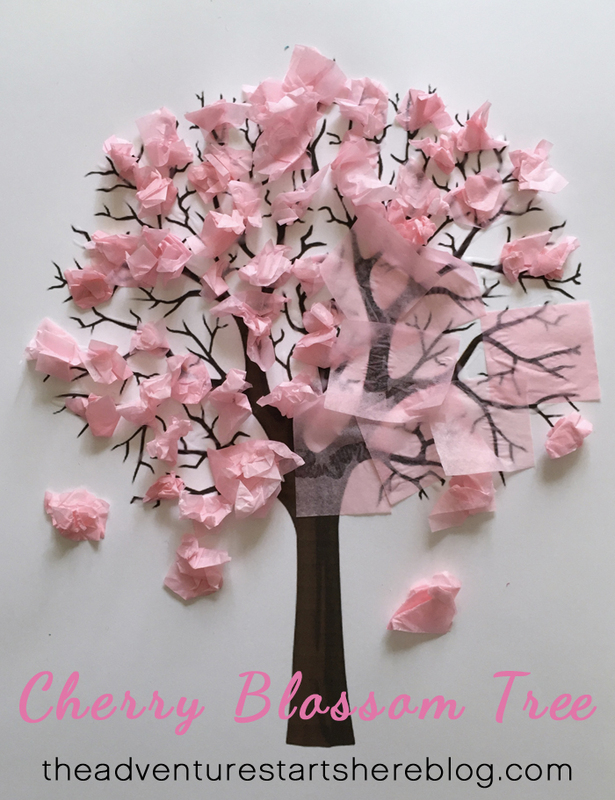 Is it bad that I want to make that cherry blossom tree craft on my own? It's so so pretty!! 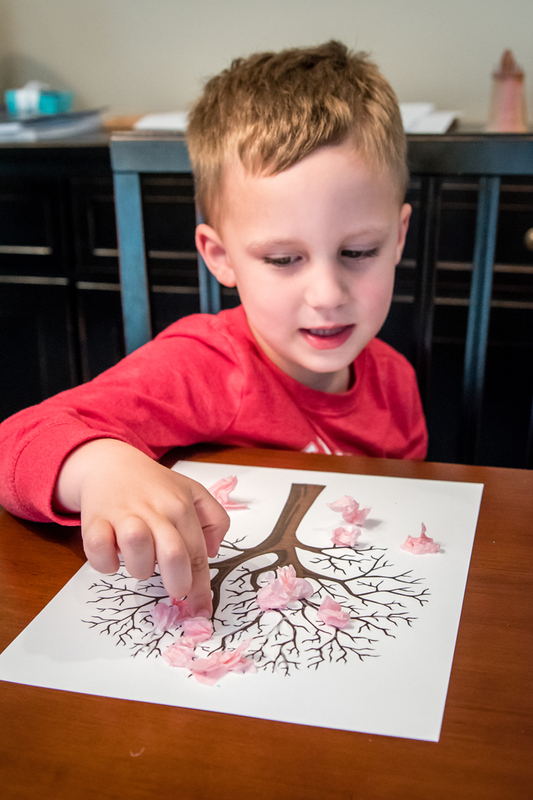 I wish my kids would still be interested in planned crafts like that - the Cherry Blossom is amazing! And I love to see that Noah is becoming a little crafter in his own right, his frog is awesome! How cute would it to be frame that Cherry Blossom tree? You could display it year after year, making it a Spring keepsake. So pretty! Love those pink flower trees!! Cute craft ideas! Just melt my heart! That paper frog is just amazing. I love Noah's creative spirit! Mason would be over that in a hot second LOL. But I LOVE the cherry blossom tree and would totally make one on my own! This is so cute!! 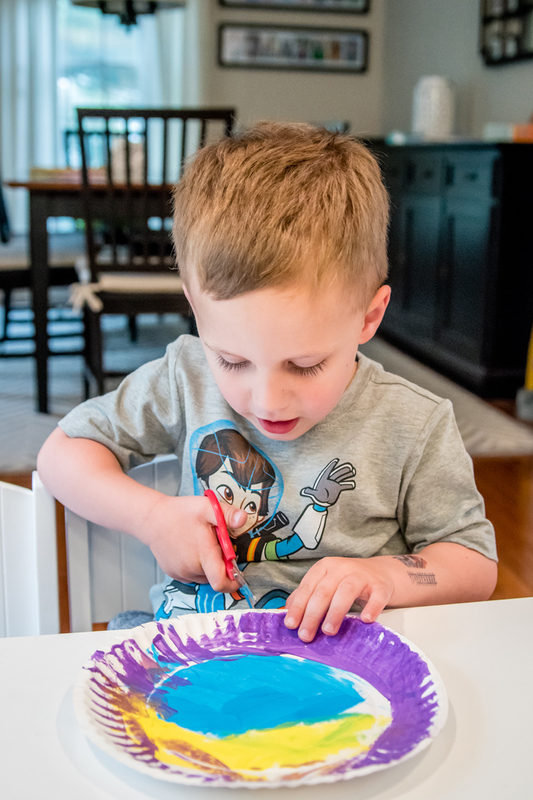 It makes me so excited to do crafts with my little guy someday! These are FANTASTIC! We will definitely be making those cherry blossom trees my girls will love that! Thanks friend. You guys do the most fantastic crafts! The cherry blossom tree is amazing!